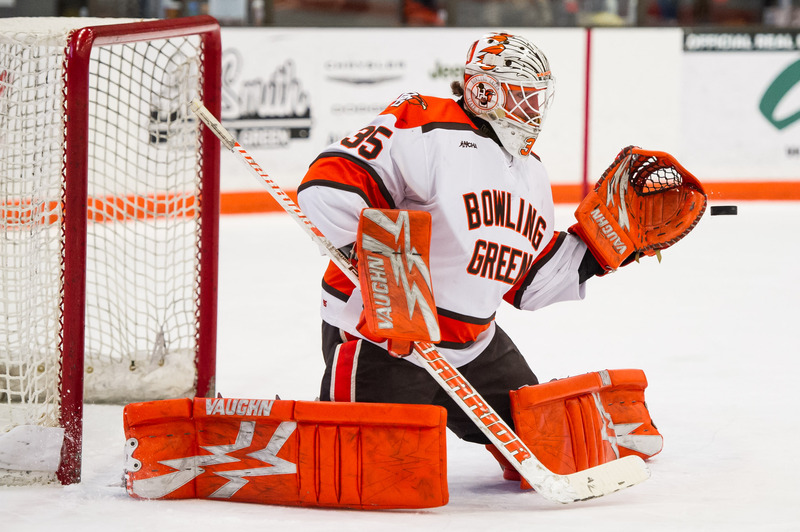 Kalamazoo, MI – The 20th-ranked Falcons exorcized some latent demons Tuesday night in a 6-2 win over the 18th-ranked Western Michigan Broncos. It was the Falcons’ first win at Lawson Arena since the 2007-2008 season. Ryan Bednard started in net for the Falcons, stopping 34 of 36 shots faced. Austin Cain received the nod for the Broncos, making 13 saves on 18 opportunities. Austin Rueschhoff opened the game’s scoring for the Broncos at 14:22 of the first period on the power play. He re-directed a shot by Corey Schueneman from the point to give Western Michigan a 1-0 lead. The Falcons responded at 16:18 with a special teams marker of their own. While skating shorthanded, the Falcons’ Lukas Craggs broke out on a two-on-one with Tim Theocharidis across the slot. Craggs threw a backhand pass at Theocharidis who buried the shot for his second goal of the season. John Schilling had the second assist on the play. Bowling Green took a 2-1 lead at 18:02 of the first period while skating on the power play. Alec Rauhauser fired a shot on net, but Connor Ford was parked in front of the crease and re-directed the puck past Cain. The goal was Ford’s second of the season and was also assisted by Stephen Baylis. The Broncos had 17 shots in the opening period while the Falcons had eight chances on net. Bowling Green extended their lead to 3-1 at 3:49 of the second period. Justin Wells skated the puck behind the net before finding Cam Wright in the slot. Wright sent his shot top-shelf, beating Cain for his first goal of the season. Connor Ford had the second assist on the play. Western Michigan responded with a power-play goal at 9:57 of the second period. Josh Passolt sent a wrist shot past Bednard in the slot to cut the Falcons’ lead to 3-2. The Broncos outshot the Falcons in the second period by a mark of 13 to three. The Falcons extended their lead to 4-2 of the third period. Cam Wright found Taylor Schneider, who spun around, sending a low shot that beat Cain. 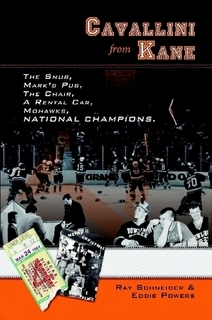 The goal was Schneider’s first of his collegiate career. Casey Linkenheld pushed the Falcons’ lead to 5-2 of the third period. Alec Rauhauser fed the puck to Linkenheld who skated in on Cain, held off a defender, and sent a backhand shot past Cain. The goal was Linkenheld’s second of the season. The teams got heated down the stretch, as 23 penalty minutes were called in the final half of the period. The Broncos decided to pull Austin Cain for the extra-attacker with 5:34 to play in the final period. However, Lukas Craggs scored an empty-net goal at 18:17 to seal the 6-2 win for the Falcons. The Falcons had eight shots in the final period while the Broncos had six chances. With the win, the Falcons improve to 2-0-0, 0-0-0-0 on the season. The Broncos fall to 0-1-0, 0-0-0-0. Bowling Green will travel to Moon Township, PA on Friday to face the Robert Morris Colonials.